"Not more than a day old, she was left in the cold, on that concrete platform. Her umbilical cord was clipped off. It was not even dry. She was crying so loudly." They call her Baby Unknown. She does not have a name yet because her family abandoned her as soon as she was born. Rescued by a good samaritan, this baby girl was turned over to the Basavanagudi Police Station. She has been admitted to the hospital where she is fighting to overcome serious respiratory distress and infection. 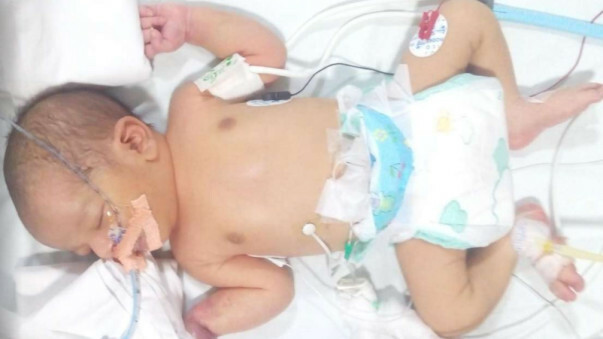 Inspector Shashidhar and SI Pavitra were stunned when a man entered the station with a newborn claiming that he found her on the street. After hearing him out, their hearts went out to the little one, who was clearly in distress and needed medical attention. "He was going home after a late night at 2:00 AM when he heard a baby crying. He noticed a bundle on that platform around Armugam circle. It is right in the middle of the road. He had the driver stop the car to look for the mother or just anyone. 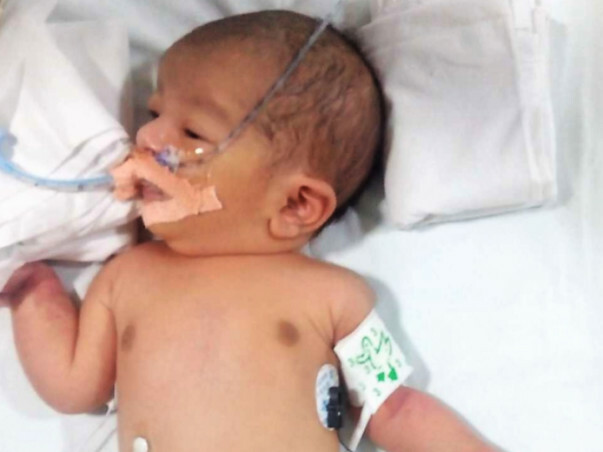 Once he realized what was really happening, he rescued the baby and took her home." The man who rescued Baby Unknown took her to the police station the next morning. 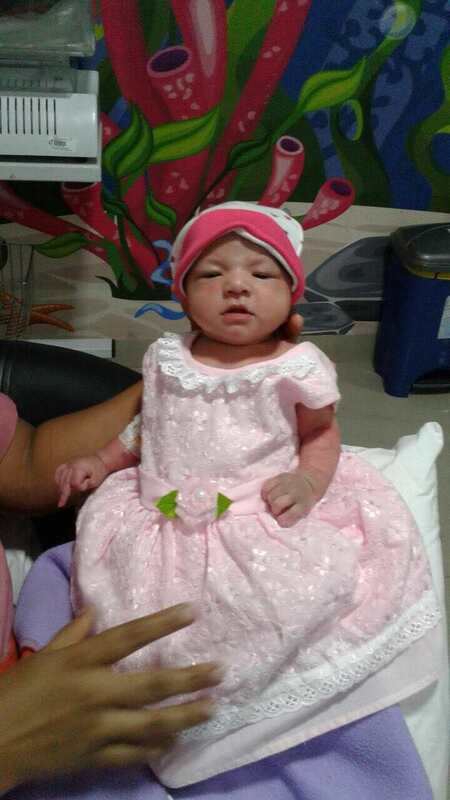 SI Pavithra along with another constable immediately rushed the baby to Cloudnine for an evaluation. Constables have been taking turns to stand watch outside the NICU, while the Inspector and SI have taken the responsibility for her care until she can be handed over to Shishu Vihaar. 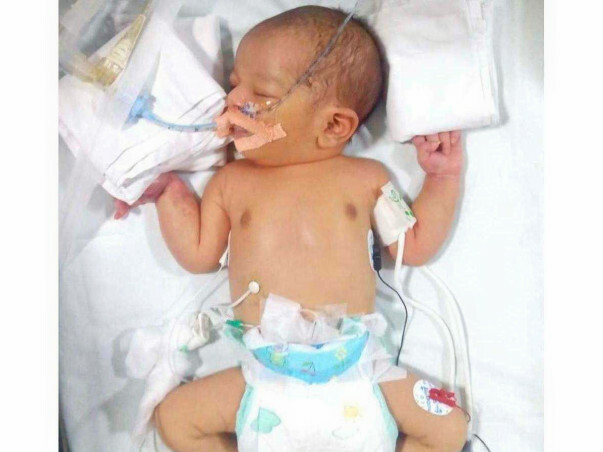 "She had severe respiratory distress and an infection because of the cord. They have her on the ventilator. She needs to be in the hospital for a few weeks. The government cannot bear expenses as we brought her to a private hospital. It was the nearest, and she needed immediate care." The search for a family continues. The police are attached to this little one and are praying for her to recover. Inspector Shashidhar is bearing all the medical expenses, but with bills amounting to Rs. 4 lakhs, even he needs some help. 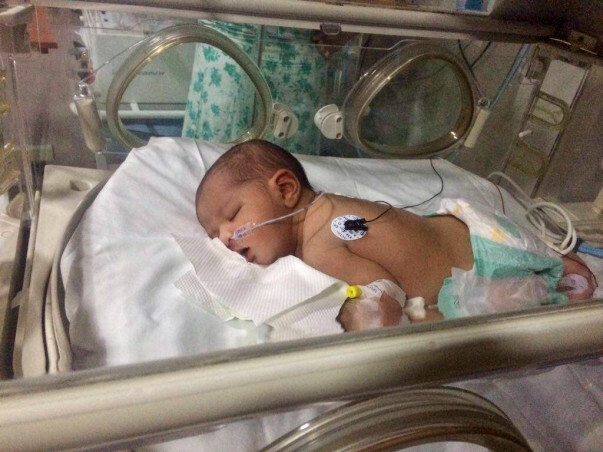 Cloudnine Hospital and its team of doctors have provided the best possible fee with discounted service charges and priority care to help this little one recover. 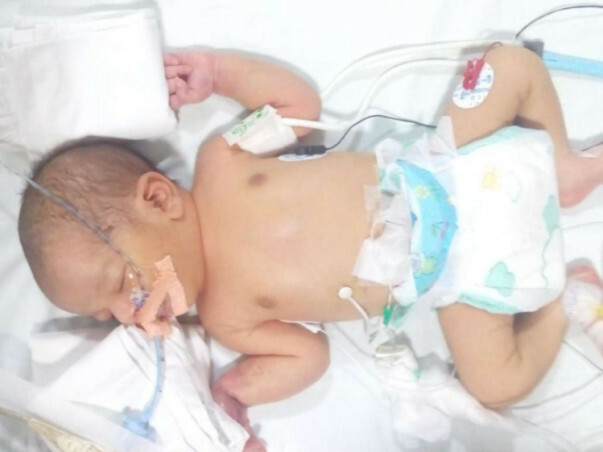 Baby Unknown is 4 days old, and she has already gone through so much trauma. Let's take inspiration from the amazing people at the Basavangudi police station and help this newborn make it. We have some good news to share. 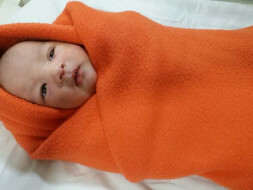 Baby is fit and healthy, its 22 days old now, thanks to all the donors. The baby has been discharged from the hospital. Police authorities took the baby day before yesterday and handed over to Shishu vihar, which is near Nimhan's convention center. Baby is doing good under their supervision. We are happy to share this update with you. 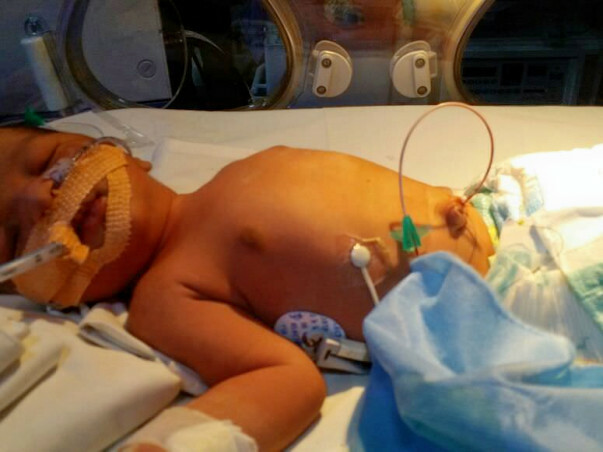 The baby is not on ventilator and oxygen support anymore. However, she is still in the Hospital as she is on antibiotics. The medication will continue for another 5 more days. The Nurses and Hospital staff have become emotionally attached to her and they are taking care of her like their own. They have all grown so fond of her. We have called the Police Inspector and a representative from Shishu Vihaar to discuss the future course of action. Since she is under medication we may continue to keep her with us for another one week, if the concerned officials are okay. We have received a lot of requests from all you kind people regarding the adoption of the baby. Please note that we are not legally permitted from the Hospital to permit any authorization on the adoption of the baby. 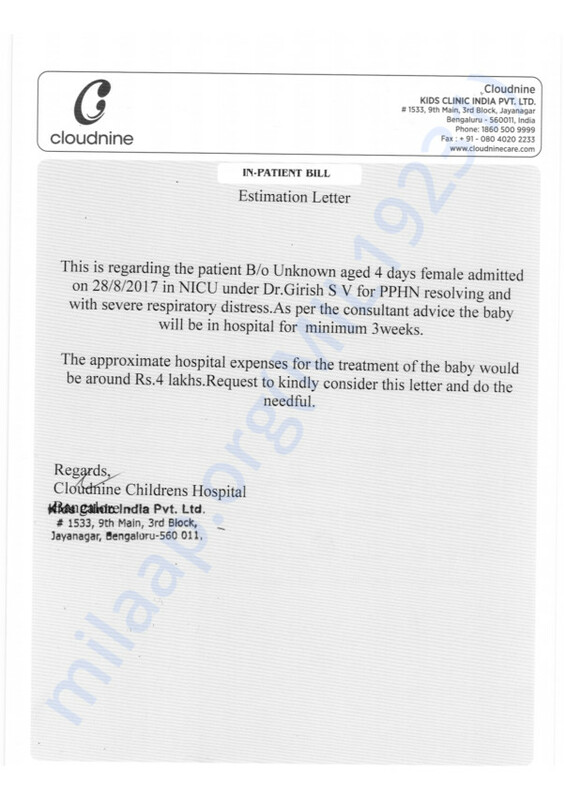 Hence we request you to please contact Shishu Vihaar, Bangalore for the same as they have the custody of the baby now. Thank you so much for the love and support all of you have shown. It is because all of you that now her health is improving and soon she will find a home for herself. May god bless little cute baby. Get well and grow up soon.